The SPX declined another 2 % today and closed at 1257. 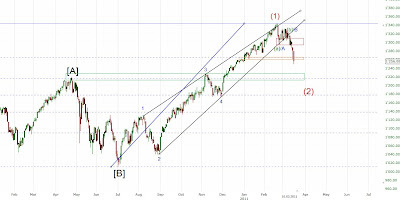 Looking at the ES, which just made a new low, it looks like the support in the SPX 1260 area won't hold. 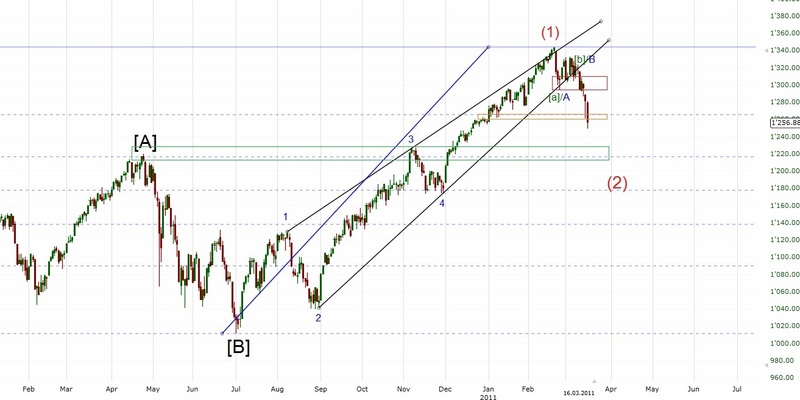 Next target below is the 1220-25 area which is my preferred target for this Intermediate wave (2).